40% grant available for Pig & Poultry Farms who invest in Solar PV (Photovoltaic), Solar Thermal and other energy saving technologies. 40% Grant aid will only be paid on approved, completed and eligible expenditure and shall be paid up to the applicable maximum investment ceiling of €80,000 per holding. The minimum amount of investment which is eligible for approval under this Scheme is €2,000 per application. With 10 years of industry experience, Clean Energy Ireland is well equipped to provide you with a turn-key solution. 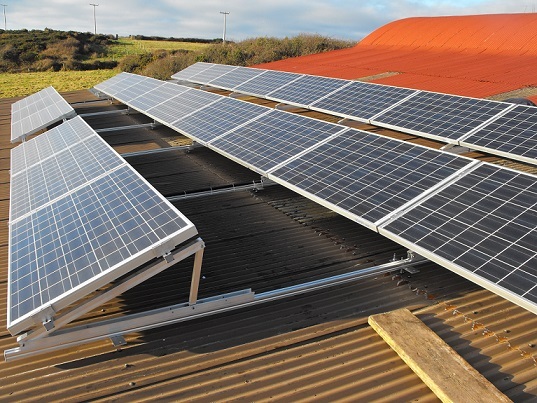 Solar PV/Thermal in commercial applications would normally have an acceptable payback of 7-8 years –without any supports! This EU-Government support improves the payback to 4-5year. 4. No concerns during high wind. - In certain cases an engineer’s report (as per paragraph 5.3(c) of Scheme conditions*. - Quality certificates (Electrical, Slats, Concrete, Protection of Steel work, CE certificates, Welding Cert etc).